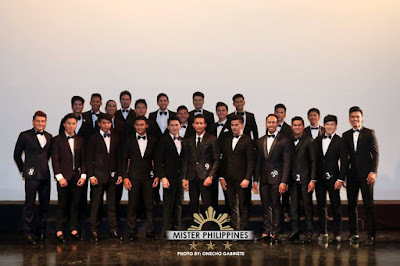 Twenty-four (24) official candidates of Mister Philippines 2017 were introduced to the members of the media during the press presentation held at Music Box at Timog Avenue, Quezon City, Philippines. 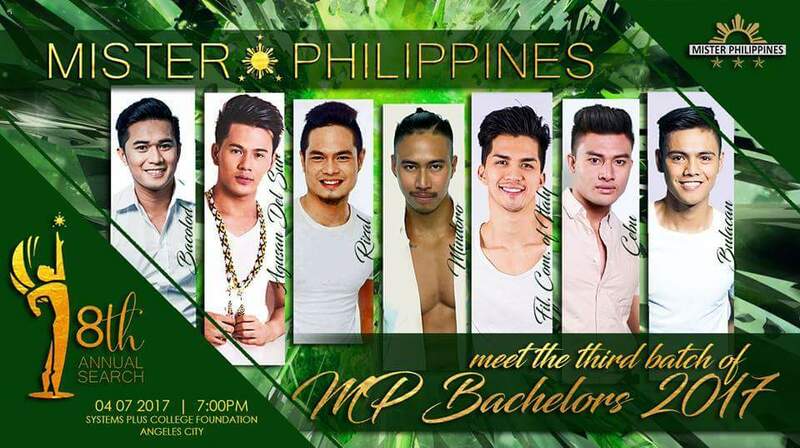 On its 8th year, candidates will vie for titles namely: Mister Universe, Mister Globe, Mister Global and Mister Grand International. Winners will represent the country in international competitions. The Pre-Pageant is scheduled on April 2, 2017 at SPCF Theater, Systems Plus College Foundation in Balibago, Angeles City, Pampanga. 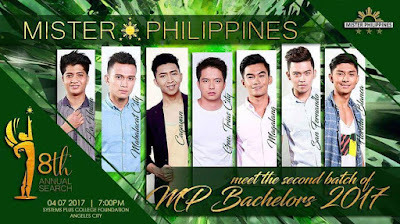 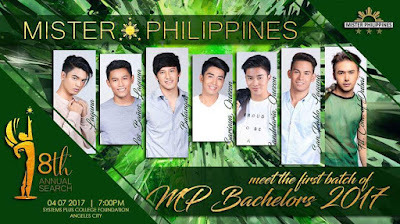 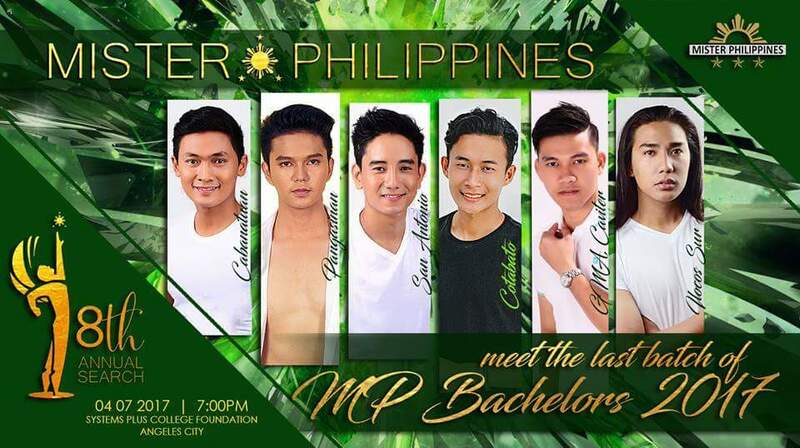 The Grand Coronation Night of Mister Philippines 2017 will be held on April 7, 2017 at Systems Plus College Foundation Gymnasium in Balibago, Angeles City, Pampanga. This event will be hosted by Mister World 2013 1st runner-up Mr. Andrew Wolff, and Ms. Gab Alfonso. 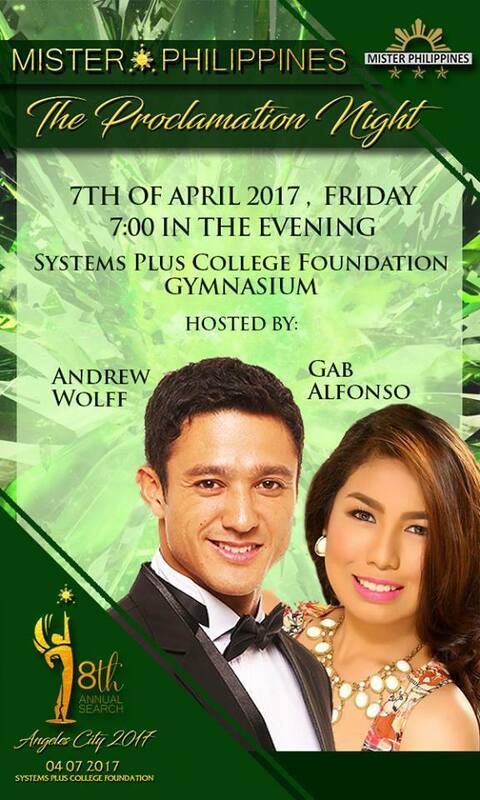 Pangasinan - WOODY ANDRES JR.